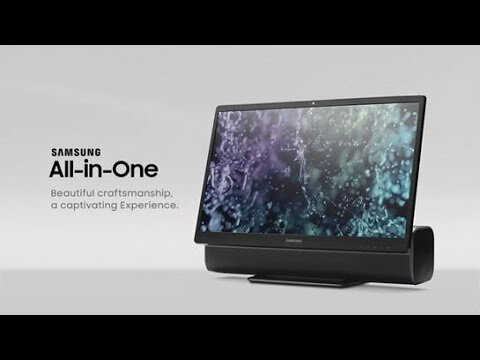 Samsung has announced its new All-in-One PC. Samsung All -in-One PC will come with Windows 10 and with some interesting design. The main feature of Samsung All-in-One PC is an integrated Bluetooth soundbar. The Samsung AIO PC also includes 24″ 1080p touchscreen display can be tilted and is height-adjustable. Also, the PC is powered by 2.4GHz Intel Core i5-7400T processor, up to 16GB of RAM and 1TB hard drive. If you want more oomph in terms of RAM and storage, Samsung says those are easily replaceable. The AIO PC is more sound-centric, you can also play music on soundbar via Bluetooth even when the PC is turned off. Currently, there is no news about price and availability.